Management of your sites irrigation system is vital for a healthy and cost efficient landscape. A healthy landscape has many positive impacts on the environment, but an improperly designed or inadequate irrigation system can waste precious water resources in our region and drain a landscape budget with water cost. Your first step in saving water is to ensure your irrigation system is running at its peak performance. Our team of highly trained irrigation technicians are skilled in all levels of irrigation repair and management. Managing landscapes since 2005, Western Landscape is a leader in the commercial landscape industry by providing responsive local services. Our landscape managers provide customer focused landscape services to retail and public areas, multi-family residential, industrial parks, commercial office parks, corporate campuses, homeowner associations, hospitality, colleges and universities. 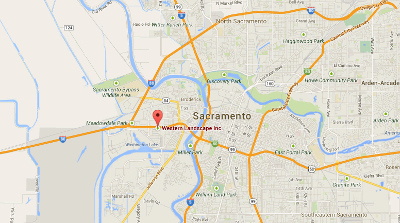 Western Landscape, Inc. serves a long list of communities in the Sacramento Valley. Click here to learn more and find us on a map.